ICH Blog: A mystery in the attic! Adventures in built heritage. A mystery in the attic! Adventures in built heritage. "The opening to the attic is a small port, 20 inches square, but the only thing up there is a very large wooden box that is bigger than the opening; 69" long, 29" wide, and 20" deep. It seems to be lead lined, and has two long bolts attached on the outside short end. There doesn't seem to be a lid for it but the wood throughout is quite thick, so is likely very heavy." My theory was that it was part of a cistern or water basin, possibly to power a gravity-fed flush toilet or shower. 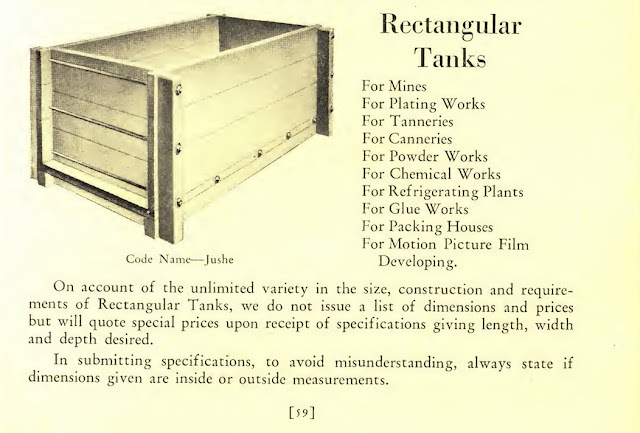 The use of the reinforcing rods might support this theory, if the box was meant to hold a heavy quantity of water. I came back to the office and did some searching, and while I can't say exactly where the box came from, it is very similar to two boxes I found in old catalogues, digitized as part of the rather fascinating Building Technology Heritage Library (BTHL), which is primarily a collection of American and Canadian, pre-1964 architectural trade catalogs, house plan books and technical building guides. If you are a buildings nerd, don't go there unless you have some time to kill! Mystery solved (with no corpse to dispose of). Very cool. Something that was installed by a past owner becomes a mystery to the present owner, as the knowledge about the object gets lost over time. Good thing you were able to solve the mystery, Dale. This is in my house, built in 1843. 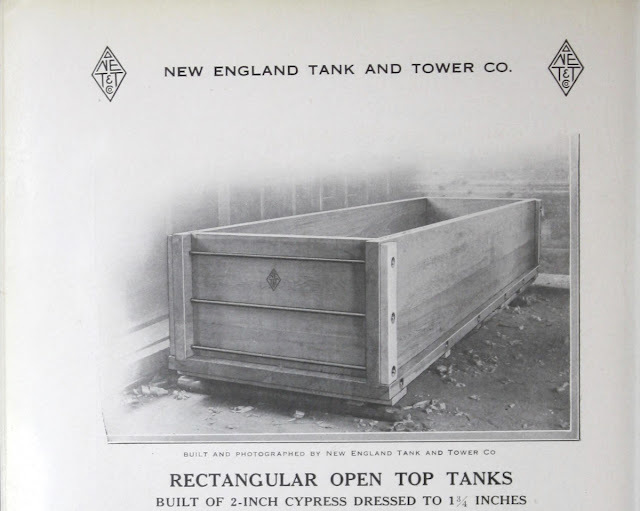 We still don't know how it got there or what it was used for but since the attic has a solid plank floor the "tank" was probably put there before the roof was added. In 1843 building practices were pretty slow so the full construction of the 2 adjoining houses likely took a couple of years and work would have shut down over the winter. The tank could have been tied into the storm drain system so that rain water and snow melt could be used as running water in the third floor "servants quarters". I am curious to know what kind of indoor plumbing would have existed at that time. The plan is to try to get it out of the attic if possible.